‘Organic’ and ‘precise’ are two words that usually do not go hand-in-hand, but they were the adjectives that immediately came to mind when I first saw the exquisite work of Japanese wood artist Nakaya Yoshitaka. His footed square plates are examples of stunning construction and clean lines. The natural rings of the wood create a beautiful contour map and it does not take long to notice how much careful planning goes into his work. Wood artist Nakaya Yoshitaka working on a lathe at his studio. When Nakaya-san realized how much he enjoyed making things by hand, the daily routine of drafting plans at the office became unbearable. So the engineer left his drafting job 12 years ago and went to work for a furniture maker in Takayama. In 2009, Nakaya-san moved his young family to Fujinomiya city at the foot of Mt. Fuji and set up his own studio, which specializes in wood products. “I had no hesitation in choosing wood as my principal working material because I spent many happy hours in the mountains and rivers as a child” he says. He thinks that the most difficult aspect about working with wood is that its shape can change depending on the environment. He cleverly uses his insightful perspectives on such nature of wood to his advantage. 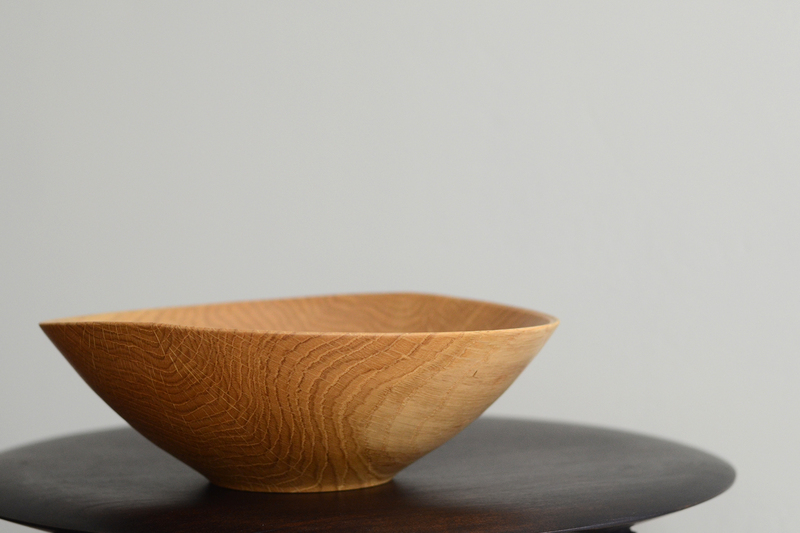 Take for instance the wild cherry bowls that Studio Kotokoto is offering. The bowls are shaped before the wood is dried and are left to warp as they dry naturally to form their unique shape. These bowls are then finished off through careful refining that is a signature of Nakaya-san’s work. Nakaya-san has recently been focusing on using local trees that were toppled during typhoons or by silvicultural tree felling. “I hope to let the forests thrive even as I utilize the wood for my work”, he explains. 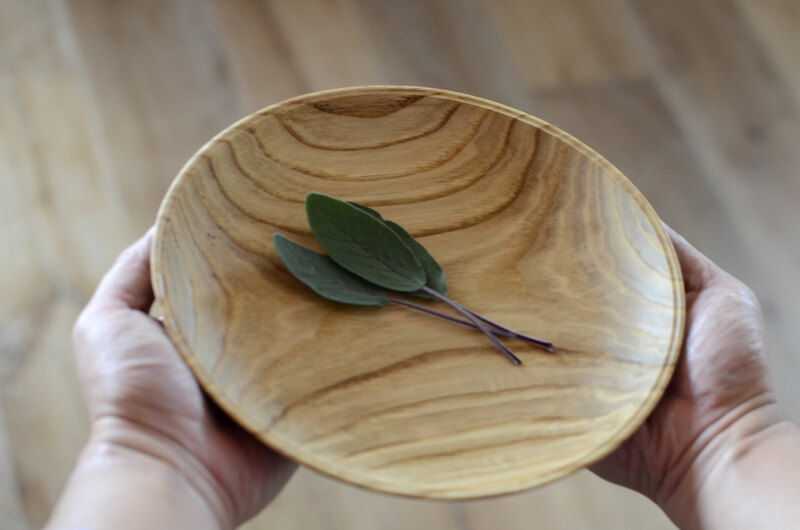 This deep love for wood comes through in the prominence that Nakaya-san gives to the natural beauty of wood rings, which transforms his bowls, plates and other products into dazzling organic and utilitarian works of originality. His work is an inspiring tribute to the grace and splendor of trees.